Habits are easier to make than they are to break. Sometimes we really need to stay strong and learn to manage difficult moments. While, I do not need harp on about the ill-effects of smoking, but it is important to be aware that it leads to heart ailments and cardiovascular disorders. Since, World Tobacco Day was observed on 31st May, I take this opportunity to talk about one of the most hazardous habits. They say it takes 21 days to form a habit and hence, it takes 21 days for a smoker to lead a smoke-free life. Do you know when it comes about developing a bad habit, two repetitions, is probably enough. If you order a cookie with your coffee on Monday morning and Tuesday morning, you will find it very hard to resist ordering a cookie on Wednesday. Take small steps. That is the most basic way to quit. You do not need to keep a pack of cigarettes with you. Try to understand your smoking habits and triggers. Reduce it to half and then come down to smoking only few drags. 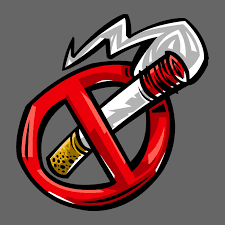 If you miss a day here or there, when you are trying to quit smoking, it does not derail the process, so do not give up hope if you stumble in the process. While, this might be one of a stress buster for you, you can keep chocolates to beat the cravings. Something a sugar rush does wonders. It is always best to form a new parallel pattern, like you should always workout or join a dance class rather than indulge the old pattern, which triggers “cigarette” in response to stress. Sometimes you also need a personal reason to quit and not just for yourself. It works. It could be because of your family or significant other. Be prepared. Your brain gets used to the nicotine. You might have withdrawal symptoms. Go see a doctor. But remember, addiction is a state of mind. S: Set a quit date. This will help you prepare and make you more mentally strong. T: Tell everyone around you that you plan to quit. You will always need their support and encouragement. A: Anticipate the challenges and smoking triggers. R: Remove all the stash of cigarettes from your home, car and office drawers. 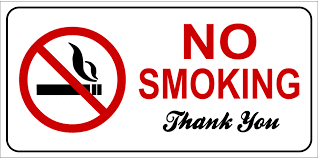 Make sure there is no smoke smell that will give you the urge. T: Talk to your doctor or see professional help if needed. Try to get all the OTC products available for your rescue like gum, nicotine patches, etc. You can probably go a year without smoking, and then give in one time and BAM, the habit comes back. In the end remember, it is all about the will power. Good habits enable health, happiness and dream-fulfillment. This is article is in collaboration with ICICI Lombard on the occasion of World Tobacco Day observed on 31 May 2018. If you have any queries, feel free to reach out to me anytime!